Research for creative writing is completely different from conventional research: you need to immerse yourself in cultures and thought patterns not your own in order to develop believable characters and depict them, their actions, motivations, and conversations convincingly. A writer needs to be creative in their research and consult a variety of sources, including primary and archival sources, interviews and personal experience, maps and atlases, art and pictures, and sociological or psychological research. 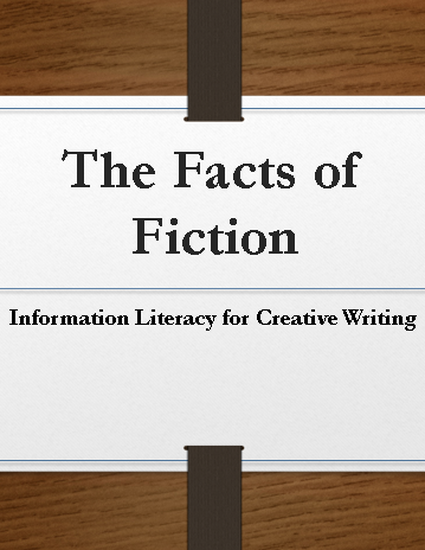 How can Librarians teach writers the information literacy skills they need and relate those skills to their immediate research needs? In this session, I will discuss my instruction experience with creative writing classes and the method I developed to address the special needs of writers.